Lafarge Africa Plc says its newly constructed 220-mega watts power plant at Ewekoro, Ogun State, will commence operation in October. Roux said the project worth $400 million (N78.8 billion) was executed in partnership with the International Finance Corporation (IFC) and Wartsila. He said IFC would provide financial and advisory services for the project through InfraVentures, its Global Infrastructure Project Development Fund, while Wartsila would build and manage the power plant. Roux expressed the hope that the project would enhance 1.4 million households’ access to electricity and help mitigate energy problems of many firms in the country. 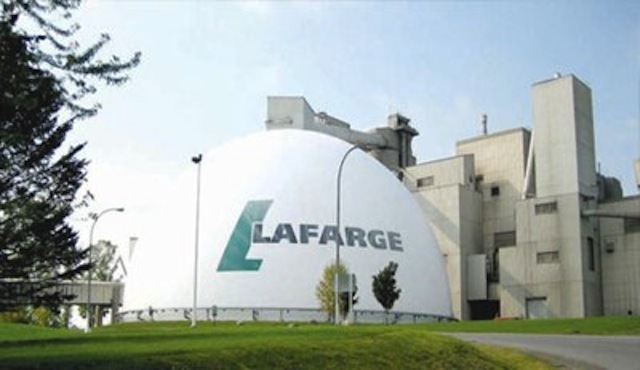 LafargeHe said power project remained one of the company’s contributions toward providing an enabling environment for new investments and the nation’s economic growth. NAN reports that the Nigerian Electricity Regulatory Commission (NERC) licensed embedded power companies to boost electricity supply in the country. Embedded power companies are not primarily power generating companies, but they generate extra power from their operations and sell the surplus to the national grid or the distribution companies. Africa and the Middle East contribute 18 per cent to the company’s turnover in 2014. Nigeria represents about three-and-half per cent of the company’s turnover from Africa in 2014.